Ava is really interested in numbers and letters right now. She is getting pretty darn good at recognising letters too. Numbers, not so much. 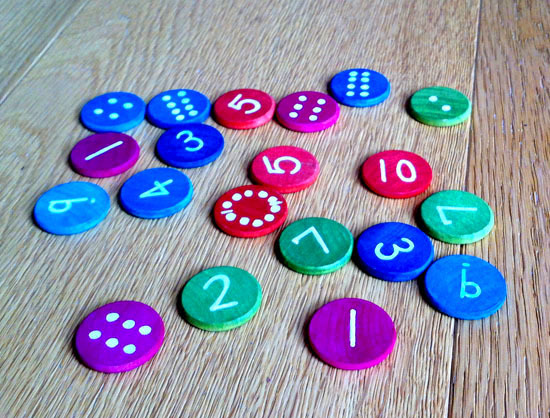 So, I made her these little wooden coins. They were actually very easy to make. 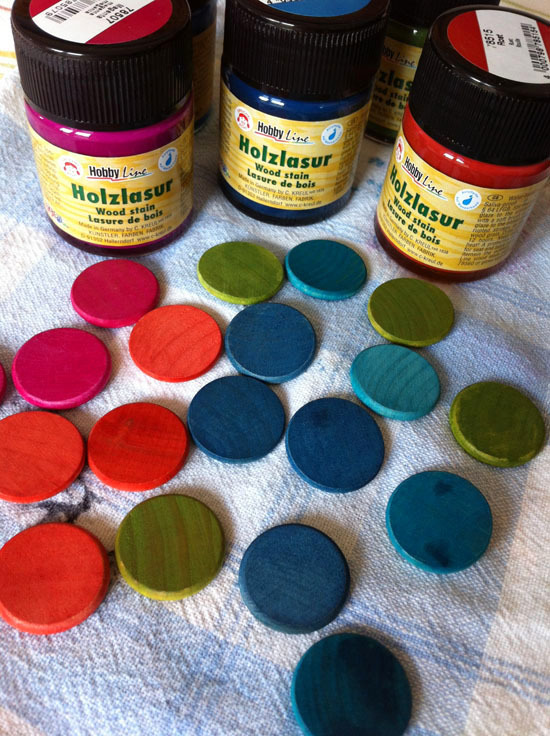 I already had the coins and 5 colours of woodstain (suitable for being nibbled on / saliva proof). So I simply brushed a few coats of the stain on with a soft brush. I used an old dish towel as my working surface - I didn't fancy the wet coins sticking to paper or staining our nice table. Anyhow, I let the coins dry for a few hours and then wrote on them with my white Posca marker. The ink kept sinking into the coins, so I gave the writing a few coats - leaving each coat to dry for a little while first. The white ink gradually built up. 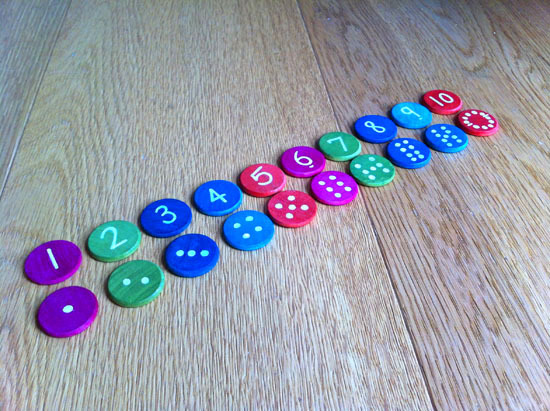 There are 2 coins of each number. On the 1 side I have written the number and on the other there are dots for her to count and figure out what the number says. I should probably have done numbers 1-20, rather than 2 sets of 10...but how would I have fitted 20 dots on to the back! ?